How do you make pet care so easy? Dr Carl has a vision to make pet care easy for all pet owners. We do this by providing you the convenience of 24hr a day online shopping for great value quality pet supplies, expert easy to understand advice and fast friendly service. We also provide you with great time saving services such as Auto-Shipping which allows you to set up a recurring order to have your pet goods delivered to you automatically at your desired interval so you never run short of the products you need when you need them. 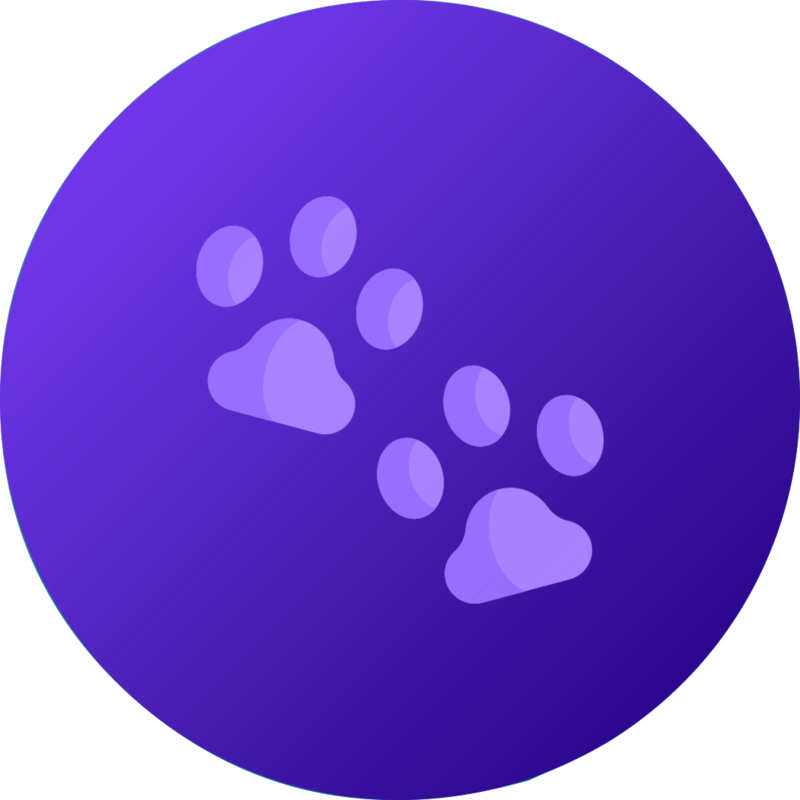 If there is anything more we can do to make pet care easy for you then don't hesitate to contact our friendly team at [email protected] and we will do all we can to assist you. We're one of the biggest online retailers of pet health products in Australia, so we have great buying power. We work really hard to bring you the lowest prices, in fact we guarantee it! If you find a cheaper advertised price with one of our competitors, we won't just match it, we'll beat it by $1! * Terms, conditions and exclusions apply - click here for full details. Do you sell pet food? At Dr Carl we sell a complete range of high quality premium pet food and we can deliver it straight to your door and save you money all at the same time. Other online stores say that the postage costs of dog food would outweigh any savings they could offer you but at Dr Carl we have found a way. For customers who live in Brisbane, Sydney or Melbourne the most you will pay for postage is just $6.95 regardless of weight (see Shipping for full details). That means when you combine our low postage costs with our super low prices you will find that buying your pet food online with Dr Carl is very cost effective and very convenient. The more you buy in each order from Dr Carl the more you will save. At Dr Carl we keep postage costs to a bare minimum. Our postage fees are based on the packed cubic weight of your order and for most orders will be $6.95 anywhere in Australia. You will find our low price postage is clearly displayed prior to checkout so you have no nasty surprises. See Shipping for full details. Despatching your order is our priority. Most orders are despatched by the following business day and many within the same day. Delivery times can vary depending on your location. Many orders arrive within 2-3 days following despatch, although if you live in Western Australia or a remote or regional area we suggest you allow 5-10 working days from the date of despatch for your goods to arrive. Delivery times for International orders may vary substantially depending on the destination country and the customs processing times. Many International orders arrive within 10 business days however we would suggest you allow at least 10 to 20 business days just in case your parcel is held up in customs processing. See Next Day Shipping for full details. Please take care to ensure the address you give us is current and correct. We reserve the right to pass on costs incurred as a result of incorrect or incomplete address information being provided. When you checkout you will be given the option to pay via credit card or direct bank deposit. We accept Visa and MasterCard. Orders paid by direct bank deposit will not be despatched until payment has been received. This is usually the next business day following the date of transfer. We take your security very seriously and do all we can to ensure a high standard of internet security. Our site is secured using 256 bit SSL encryption and your order is processed securely by eWay payment gateway or if you prefer, you can choose to pay with Paypal or direct deposit (not available for recurring orders). We do not store your credit card information on our database. Yes. We will never disclose your private information to any third party unless required to do so by law. We only use your information for the purpose of providing you our services. What if I can’t find what I want to buy? No problem! You can try searching for it using our search feature at the top of the page. If you still can't find what you are looking for then just contact our friendly team at [email protected] and we will do all we can to source it for you at the best possible price. We have access to thousands of animal related products through our many suppliers and will almost certainly be able to find what you are after. What if I don’t know what product I need? That's no problem either! We can offer you expert advice for your specific situation. Just contact our friendly team at [email protected] and let us know how we can assist you. I live in a country other than Australia, can I order from Dr Carl? That's fine. Just contact our friendly team at [email protected] and we will assist you however we can. Some of your products have multiple pack size listings. What does this mean? The majority of our parasiticide products (Nexgard, Bravecto, Revolution) are sold as either a 1 pack / 3 pack / 6 pack / 12 pack. Pack size refers to the amount of chews or pipettes in each pack. For example a 3 pack of Nexgard contains 3 Nexgard chews. A 6 pack of Nexgard contains 6 Nexgard chews. A 12 pack of Nexgard contains 12 Nexgard chews. Product page pack size images shown are not indicitive of the pack size you'll receive.